The St. Louis County Council is set to perfect certain bills pertaining to retirement pension benefits Tuesday night. Councilwoman Hazel Erby’s bill that would rollback the pension plan changes that were passed last November is on the Council agenda for perfection, however, members could vote to delay a vote on the issue. The measure passed last fall for the adjustment pension funds was meant to improve benefit packages to retain quality employees. The change was passed without issue, but but Erby and others are now voicing concerns that it was specifically crafted to benefit St. Louis County Prosecuting Attorney Robert McCulloch. Erby (D-District 1) represents North County. Also on Tuesday’s agenda, District 5 Councilman Pat Dolan has a bill that would allow County Executive Steve Stenger to sign a contract with the City of Clayton for construction and improvements along South Hanley Road related to the Scott Triangle Park Streetscape. recognise such targeted about my problem. You are amazing! Thank you! I was recommended this website by my cousin. I am no longer positive whether or not this post is written by way of him as nobody else recognise such detailed approximately my trouble. when viewing from my iphone4. I’m trying to find a template or plugin that might be able to correct this issue. Thanks for finally talking about >St. 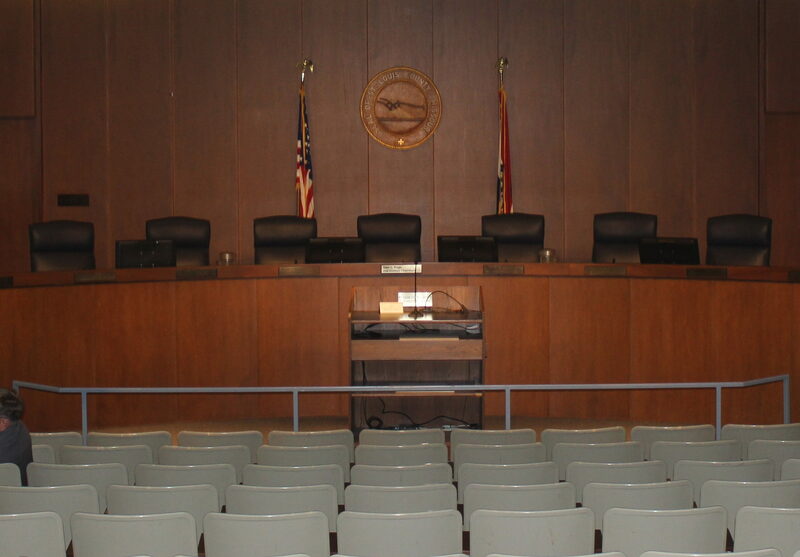 Louis County Council set to take up pension bill Tuesday – Clayton Times <Liked it! You know therefore considerably in the case of this topic, produced me personally consider it from numerous various angles. I have read so many articles about the blogger lovers except this piece of writing is truly a pleasant post, keep it up. weblog and wanted to mention that I have truly loved browsing your blog posts. to see this website on regular basis to get updated from hottest news. page is truly fastidious and the viewers are actually sharing nice thoughts. more about this topic, it may not be a taboo matter but usually people do not speak about such topics. I’m rather sure I’ll be informed lots of new stuff right right here! on your articles. I’ll bookmark your blog and test again here regularly. I simply want to tell you that I am just very new to weblog and really loved you’re blog site. Probably I’m going to bookmark your site . You certainly come with terrific article content. Appreciate it for revealing your webpage. blog and wished to say that I’ve really enjoyed surfing around your weblog posts. also pay a quick visit this blog on regular basis to obtain updated from most up-to-date news update. he should also go to see this blog on regular basis to obtain updated from newest gossip. to say on the topic of this piece of writing, in my view its genuinely awesome for me. I just couldn’t go away your site prior to suggesting that I really enjoyed the usual information an individual supply on your visitors? any unique trick. Moreover, The contents are masterwork. you’ve performed a wonderful task in this matter! Hi, yes this piece of writing is genuinely nice and I have learned lot of things from it about blogging. I am changing holding business as well as wish to relocate my WordPress Blogs over. Does any individual recognize of a very easy means to accomplish this?. I visit everyday some web sites and sites to read articles, however this blog offers feature based writing. lot. I’m hoping to present something again and aid others such as you helped me. The clearness in your put up is just spectacular and that i could suppose you are a professional in this subject. Fine together with your permission let me to grab your RSS feed to stay up to date with approaching post. Thanks for every other informative blog. Where else may just I get that kind of information written in such an ideal manner? Hi there, I believe your site could be having web browser compatibility problems. Whenever I take a look at your web site in Safari, it looks fine however, if opening in I.E., it’s got some overlapping issues. I just wanted to give you a quick heads up! Besides that, fantastic website! It seems like some of the text in your content are running off the screen. Can someone else please provide feedback and let me know if this is happening to them as well? Just how does one earn money from blog sites? Just how does one start it or go about it? Exists a particular means to do it? Just just how does one make money from blog sites to begin with? Where does one get started in this? Do you have to market as well as use your charge card? Are there any specific kinds of regulations you need to follow? Do you have to establish the blog site up yourself or exist ones that help you establish it up? Just how do you get advertisers on your blog? Are individuals restricted to the number of blogs online? How usually do you make money?. Many thanks for the aid!. a large amount of work? I am brand new to operating a blog but I do write in my diary every day. up pension bill Tuesday – Clayton Times <Loved it!